Emendo Energy is a renewable energy focused company with significant experience in infrastructure, conventional energy and renewable energy sectors & run by energy veterans. The company was created out of a need to support owners in effectively managing the performance of their assets when comparing to the business case, in particular from a revenue standpoint. Emendo Energy is the agent for BCT in Australia and New Zealand, a software development company that has developed an asset management software platform to actively manage the assets of owners to ensure revenue is optimized. Conduct through life business assessments, from development, operations, and repowering. Assessments of operations and maintenance strategies and new development opportunities to ensure owners make informed decisions that will have a positive impact on the business models. Emendo Energy is an agent for our Partner BCT in these technologies. At Emendo Energy, we believe in judging performance against business cases, not guarantees, and the best place to start is at the revenue meter. Our software begins here, and identifies all issues, whether it is grid or turbine related, that may be affecting your business case and bottom line. Not only does it identify the issue, but it finds the root cause and can prescribe a course of action to rectify it. Not only does it keep your OEM or service provider honest, it puts you in control of your asset, empowering you to maximise revenue. How do you know if your assets are about to cost you a lot of money, or lose you money as a result of downtime? And more importantly, how do you prevent this? 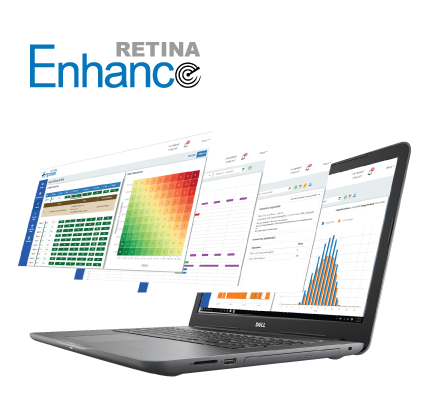 RETINA EMPOWER identifies poor performing assets in a simple heat map. Empower also forecasts failures, enabling predictive maintenance to be scheduled at non-crucial times throughout the year. The team at Emendo Energy share a common passion for renewable energy. Together, they have deep financial and technical experience in the renewable energy sector. Jorn Hammer is the former Managing Director of Vestas Australia, Vestas India and Global Head of Vestas Sales management. Alistair Craib is a principal of Ironstone Capital which is a leading boutique provider of corporate advisory services in the infrastructure, resource and renewable energy sectors. Alistair was formerly a Senior Investment Executive within UBS Infrastructure Asset Management and the CEO of an $800m renewable energy company in Australia. Mark Thompson has 13 years of operations and maintenance experience in the Royal Australian Airforce, and 8 years of Development and Operations experience in the Renewables sector in Australia, and more broadly Asia Pacific and the Middle East. Emendo Energy is Australia’s growing renewable energy advisory and consulting firm. We have recently entered into collaboration with Bahwan CyberTek (BCT), a global provider of innovative software products and solutions based out of India and presence in 20 locations across 11 countries including the USA, Middle East and Far East. Through this partnership, Emendo Energy and BCT will leverage the capabilities of both organizations in the areas of analytical solutions (from BCT) and renewable industry expertise (from Emendo) to provide advanced specialized advisory solutions to owners and operators of renewable energy plants. 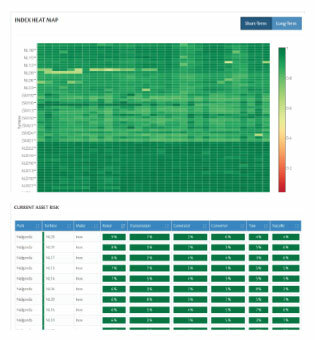 BCT’s renewables solutions – Turbine Operations Monitoring System (TOMS) and Solar-Park Operations and Visual Analytics (SOVA) are built using RETINA (patent pending) – a Real-Time Integrated Analytics platform. These solutions enable advanced operations and maintenance excellence, with embedded sophisticated computation engines with a unique combination of mathematical, statistical and analytical libraries. TOMS and SOVA are embedded with an independent OEM-agnostic system that provides operational status of their assets irrespective of the manufacturer.